Take a heavy bottomed kadai / saucepan and heat the butter on medium flame. Let the butter melt slowly. Once the butter melts, it will begin to foam. At this time lower the flame . 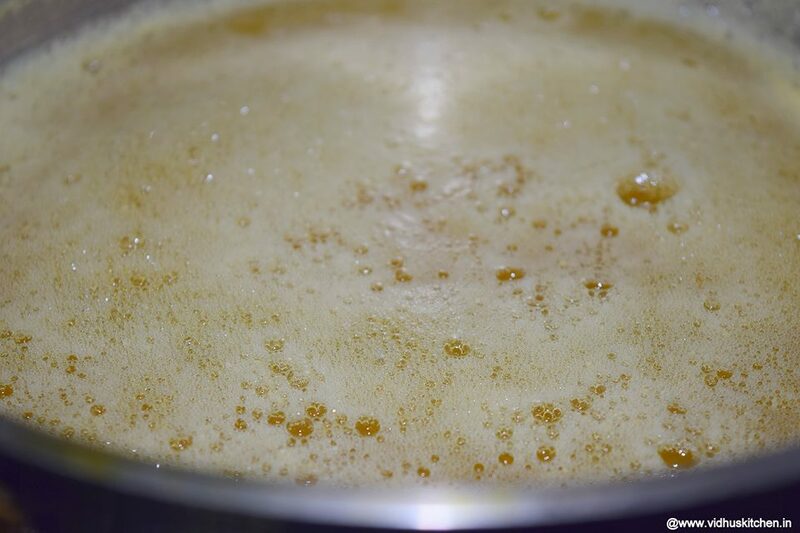 After few minutes ,the bubbles get smaller ,the milk solid will get roasted and it will settled at the bottom. Now the ghee gets thinner and clear. At this stage add few drumstick leaves and switch off the flame. 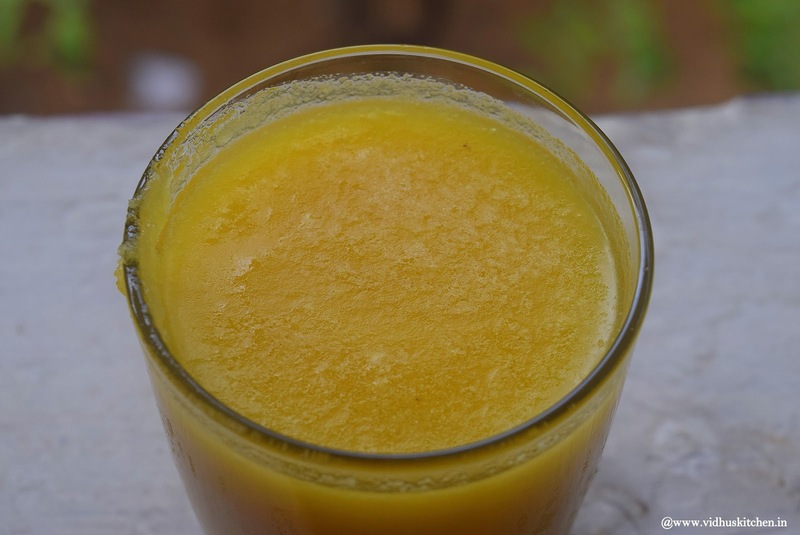 Filter the ghee using a clean muslin cloth or tea filter. Store it in a dry jar.